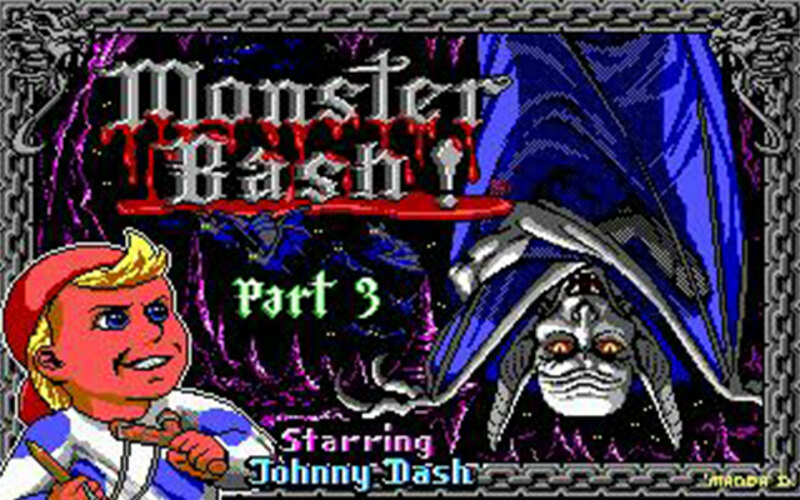 Johnny Dash's bash 'em and smash 'em adventure takes him into the evil Under World of Count Chuck. 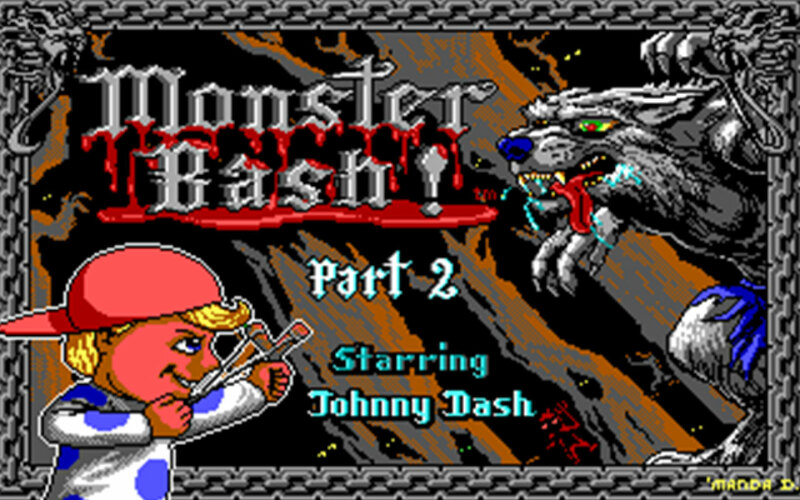 The story starts when Johnny's dog Tex is kidnapped by the Count, along with hundreds of other pet dogs and cats. 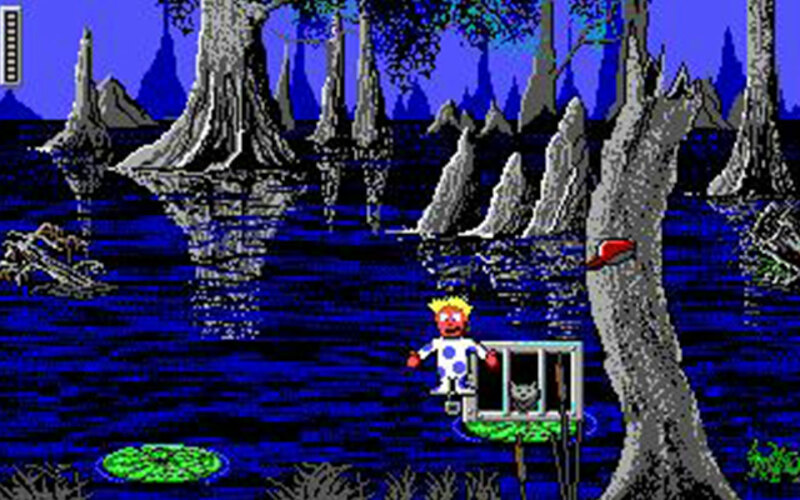 The friendly bed monster under Johnny's bed tells Johnny where Tex was taken, and how Johnny can use his secret closet passageway to get to the Under World himself. Count Chuck plans to turn their pets into an army of undead monsters. Johnny grabs his slingshot and leaps into his closet. The Count will not turn his dog Tex into a monster, not if he can stop him! 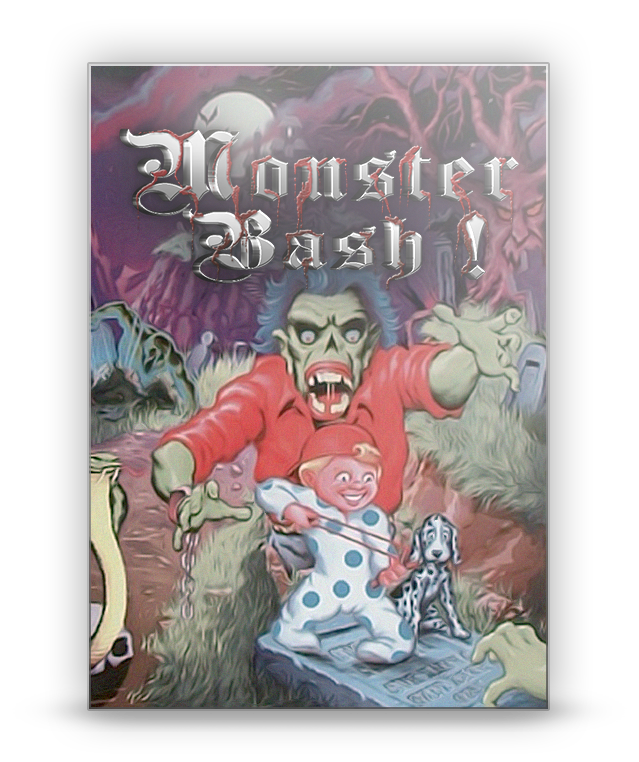 Monster Bash is full of scary action and haunting puzzles. 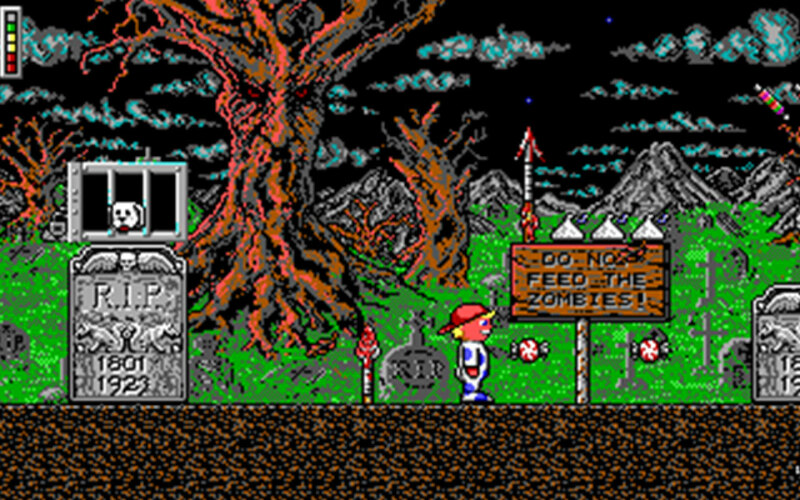 No previous Apogee game has featured so much animation. 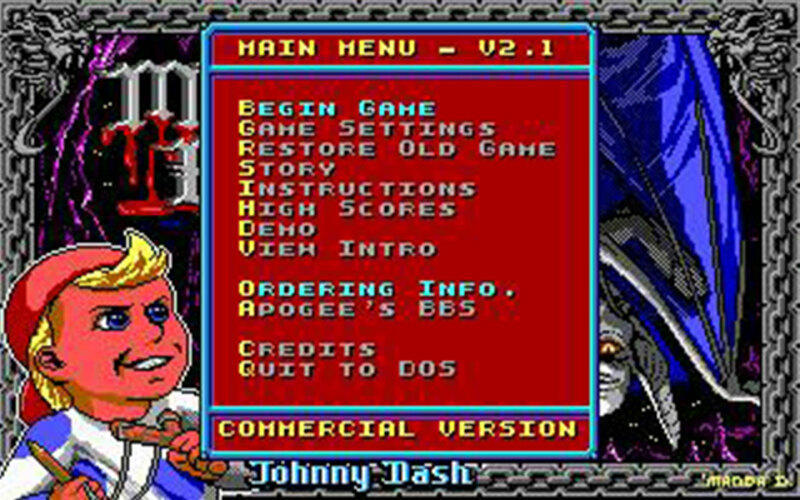 Johnny can climb, crawl, shoot his multi-directional slingshot, fly a broom, and much, much more. His super-charged slingshot can shoot rocks, rockets, fireballs, and other surprises. 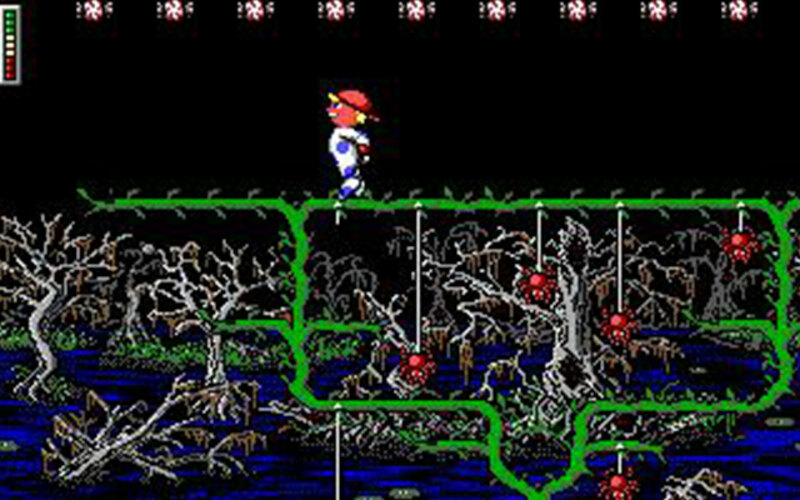 There also more enemy creatures and monsters than ever seen in an Apogee game. 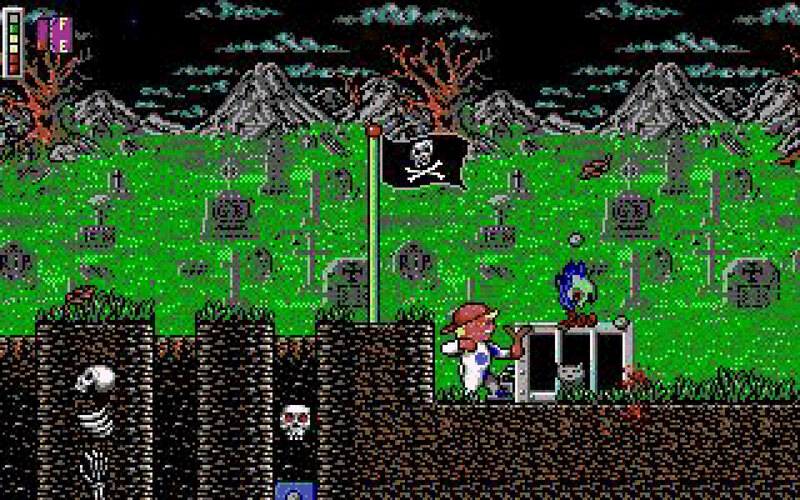 Monster Memory: Over 8 megs of compressed animated and scrolling EGA graphics. Battle Beasts: Over two dozen uniquely-animated monsters to battle with joystick suppprt. Bash 'em 'n' Smash 'em: Boss monsters that seem invincible - find their hidden weaknesses! Savage Sounds: Digitized sound and voice effects and awesome animated sequences.